New discoveries unearthed by the Cassini-Huygens space mission to Saturn continue to challenge evolutionary cosmologists. For example, Titan, Saturn’s largest moon, has long been known to have an atmosphere, but its composition puzzles long-age cosmologists. The sun’s UV radiation breaks down methane (CH4), and the hydrogen would escape Titan’s weak gravity. In fact, methane should last only for about 10,000 years. And a major by-product should be an ocean of liquid ethane hundreds of metres thick. Yet Titan still has methane clouds, while large areas of liquid ethane are nowhere to be found. Also, Cassini found two more moons orbiting Saturn. However, they are ‘a surprise because such small bodies, just 3 or 4 kilometres across, should have been obliterated long ago by collisions with comets’. New Scientist, 21 August 2004, p. 5; 20 November 2004, p. 9. Although the evidence is obviously consistent with a young (6,000-year-old) universe, evolutionists are committed to billions of years. So they try to explain away the data, e.g. by postulating methane sources. Why? Perhaps because without long periods of time, evolutionary theories collapse! The fossilized remains of a small dinosaur (psittacosaur) have been found in the belly of a fossil mammal named Repenomamus robustus. This specimen and another newly-discovered large Repenomamus fossil are a real surprise for evolutionists because evolutionary assumptions say that mammals living during the so-called ‘age of the dinosaurs’ couldn’t possibly have been big—rather, that mammals had to be small to avoid the huge reptiles. Nature, 13 January 2005, pp. 116–117, 149–152. While a surprise for evolutionists, it’s no shock to creationists—mammals, dinosaurs and man originally were all created on Day 6 of Creation Week, and so all lived at the same time. For further information, see Dino dinner hard to swallow? Astronomers have discovered the most distant massive structure yet found in the universe—a massive galaxy cluster that appears to be in a ‘very advanced’ state of development. However, because it’s so distant, they believe that the light must have taken a long time to arrive here. Therefore the light must have started a long time ago, so we are looking at a feature not too long after the supposed big bang. This was unexpected, because there shouldn’t have been enough time after the big bang for it to form—at least not naturally. European Southern Observatory, , 17 March 2005. World Science, , 8 March 2005. No surprise for Bible-believing Christians—God created stars and galaxies in mature form on Day 4 of Creation Week. See also Creation 26(3):15, 2004. British philosopher Antony Flew, long renowned as ‘an intellectual ambassador of secular humanism’, has turned his back on atheism. He says it is impossible for evolution to account for the fact that a single cell can carry more data than all the volumes of the Encyclopaedia Britannica. The Washington Times reports ‘a growing consensus’ among philosophers, intellectuals and scholars that atheism is in decline worldwide. But this does not mean that ‘re-Christianization’ is occurring—instead Flew and others merely believe in some form of intelligence behind the design of the universe. The Washington Times, , 9 March 2005. 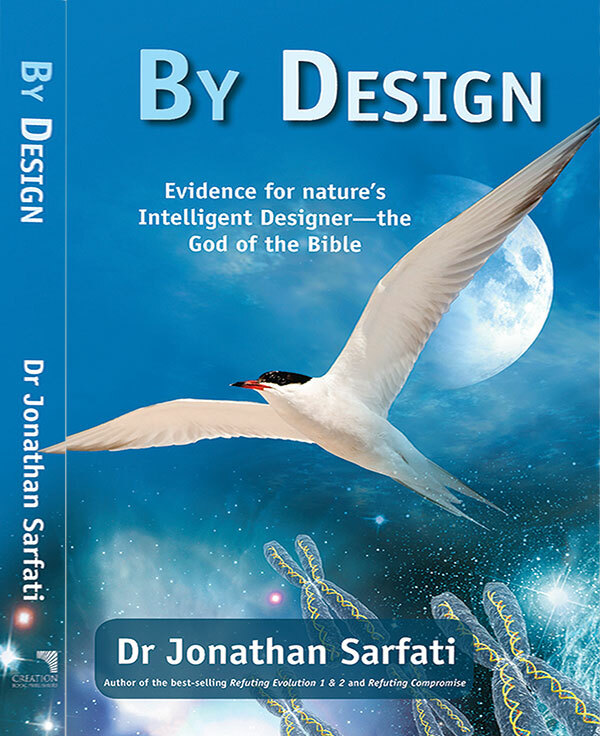 It is one thing to believe in one god—but apart from Christ, no-one can be saved (Acts 4:12; James 2:19), and this is a deficiency of the Intelligent Design movement—see CMI’s views on the Intelligent Design Movement. Two [so-called] ‘primitive’ species of marine worms have been found which feast exclusively on the bones of dead whales. 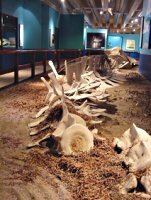 Researchers say that the bone-devouring worms have existed almost as long as whales, which [they say] evolved about 50 million years ago. Science, 30 July 2004, pp. 668–671. The challenge now for evolutionists is to explain why there are so many beautifully preserved fossil bones, obviously not devoured by these worms. Answer: the global Flood and its aftermath would have provided the necessary conditions, as explained in Creation 26(4):10–14, 2004. An international scientific team has reported that the world’s oceans contain far more cold-water coral reefs than previously thought. ‘We are finding not only new species of corals and cold-water corals in new locations but associated organisms, like snails and clams, that were believed by palaeontologists to have become extinct two million years ago’, said Professor André Freiwald, of the University of Erlangen-Nuremberg, Germany. BBC News, , 21 October 2004. An evolutionary interpretation of the fossil record might imply that certain creatures have been extinct for millions of years—so when these creatures turn up alive and well, it’s a huge surprise. But a biblical interpretation of the fossil record clearly indicates the vast majority of fossils were buried during the global Flood of Noah’s day and its aftermath, only around 4,500 years ago. So when ‘living fossils’ are encountered, it’s really no surprise at all. Newspapers have marked the passing, at age 97, of Marjorie Courtenay-Latimer. In 1938, she alerted the scientific world that the coelacanth fish was alive and well. Before that time, it had been thought extinct, having died out about ‘the time of the dinosaurs’. The species was named Latimeria chalumnae in her honour. The Telegraph, , 1 March 2005. Interesting to see the ‘living fossil’ coelacanth fish still given a high profile, even though its discovery was both a disappointment and a challenge to evolutionists. A disappointment because living specimens showed it was a fish, not a creature making the evolutionary transition to land, as had been proposed on the basis of coelacanth fossils. A challenge because, according to evolutionary dating assumptions, coelacanth fossils are, like those of dinosaurs, not found in rocks less than ‘70 million years’ old. But the continued existence of this fish makes sense if the fossil record largely reflects the order of burial in a global Flood, around 4,500 years ago. 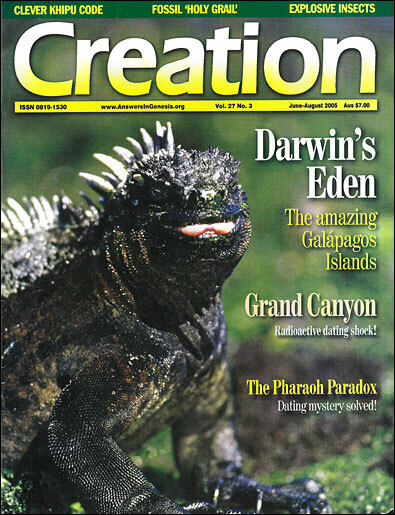 So when sceptics taunt: ‘If dinos and humans lived together, then why don’t we find their fossils together?’ one may simply respond: ‘Whales and coelacanths live together, so why don’t we see their fossils together?’ See Creation 22(2):56, 2000, also Q&A: Fossils. Spider silk is the strongest fibre in the world, a hundred times stronger than steel. (It even eclipses Kevlar, the material from which bulletproof vests are made—see Creation 23(2):20–21, 2001.) It is also very stretchy. Now researchers have found that spider silk is also heat resistant to a surprising degree. They tested silk strands of the large orb-weaving spider Nephila edulis from -60–150°C (-76–302°F). From the icy cold to very hot, the strands could still stretch by at least 20% before breaking. They did weaken above 150°C, but didn’t disintegrate till 370°C (700°F). So it seems that spider silk would make excellent material for stitching nerves and tendons, especially as it can be heat-sterilized first. New Scientist, 22 January 2005, p. 16. Could such a material—able to withstand such temperature extremes—have come about by chance? Not likely, as Romans 1:20 makes clear. A gecko can stick to almost any surface because of the superbly crafted structure of its soles—very fine hairs have tips that are even more finely divided. (See Creation 23(1):54–55, 2000). Ingenious scientists have copied this structure to make a powerful adhesive (Creation 26(1):22–23, 2003). Somehow this adhesive manages to stay clean, unlike sticky tape, which soon picks up dirt and becomes useless. Gecko foot researchers have now shown how. They coated the gecko feet with dirt, yet it sloughed off completely within five steps on a clean surface. It’s all to do with the geometry of the fine hairs. The dirt particles are too small to be in contact with enough hairs to overcome the attraction to any surface. So the hairs, in effect, repel the particles towards the surface. Proceedings of the National Academy of Sciences, 11 January 2005, pp. 385–389. New York Times, , 4 January 2005. Surely the gecko’s foot needed a Designer! The earth’s underground oil reserves are generally thought to result from organic matter (dead plants and animals) accumulated over millions of years. Therefore, one would expect production from oil wells to decline as oil is pumped out. But instead of declining, seismic analysis and other tests at many oil wells around the world (e.g. Alaska, the Gulf of Mexico, Uzbekistan and the Middle East) show that oil reserves are being replenished from some deeper and previously unknown source. So, some researchers are now saying that crude oil may be a natural non-biological product and therefore ‘not a stepchild of unfathomable time and organic degradation’. They suggest that streams of methane gas rapidly rise from huge concentrations deep in the earth. These form into crude oil at the mantle-crust interface, roughly 6,000 m (20,000 ft) below the earth’s surface. American Assoc. of Petroleum Geologists, , 18 August 2004. World Net Daily, , 27 May 2004. In the past some have objected that the 1,600 years from creation to the Flood was insufficient time to produce enough biomass (plants, animals) to account for the earth’s oil reserves. Note that there are strong arguments against that objection (see Coal: memorial to the Flood). If it turns out that the oil is of non-biological origin, the ‘not enough time’ argument becomes irrelevant anyway. Renowned Australian euthanasia campaigner (and atheist) Dr Philip Nitschke has announced he will take 30 people to a secret ‘pharmacy workshop’ in New South Wales. Pharmacists will teach the group to make their own ‘peaceful pills’, which can be taken at any time to end their lives. ABC News Online, , 10 November 2004. It seems more and more people are unaware—or choose to ignore—that our lives do not belong to us, but to God (Genesis 1:26, 1 Corinthians 6:20). No surprise in a culture which has been led to believe that ‘science’ has undermined the authority of the Bible.